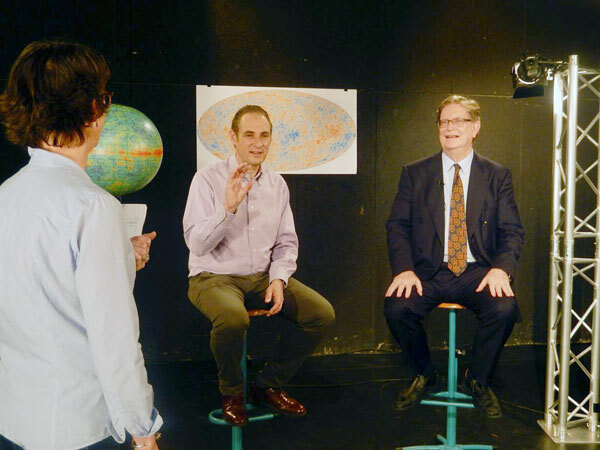 The MOOC “Gravity: from Big Bang to black hole”, given on FUN platform by P. Binetruy with participation of George Smoot and journalist M.-O. Monchicourt, ended after 6 weeks. The result is very positive, both by the number of registered people and by the numbers of participants who attended and passed the entire course. It mobilized many actors: CERN and the European Space Agency brought their resources, an educational team of 10 researchers and PhD students of the APC and the PCCP facilitated the course, and technical and artistic team of 6 persons performed achievement.An English version is currently being filmed, and should be presented this autumn on the Futurelearn platform.